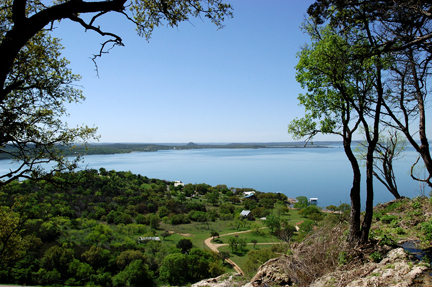 This focus topic page is all about the Texas Highland Lakes, a chain of six man-made lakes in Central Texas formed by dams on the Colorado River (Texas) as it winds southeast from its headwaters near the border of Texas and New Mexico to Matagorda Bay and the Gulf of Mexico. 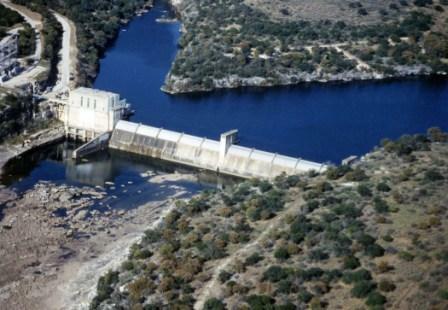 The dams provide flood control and are used to generate hydroelectric power. 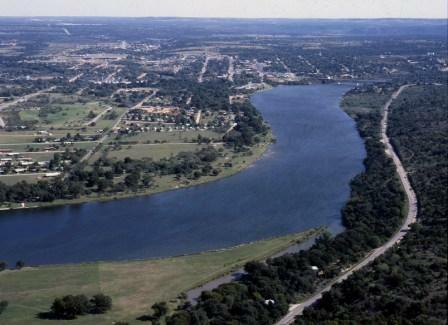 From Northwest to Southeast (the water flow direction), the 21 mile chain of lakes (in flow sequence) are: Lake Buchanan, Inks Lake, Lake LBJ, Lake Marble Falls, Lake Travis, Austin Lake, Lady Bird Lake (formerly Town Lake, Austin). 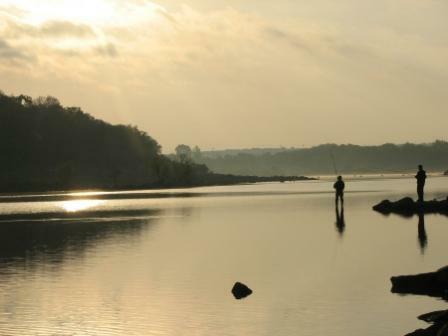 And check out our related Portal focus pages: Parks, Lakes, Rivers, and Outdoors. 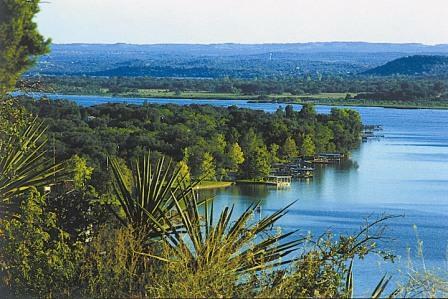 Note, see Hill Country Information for parks, wineries, wildflowers, etc in this area. 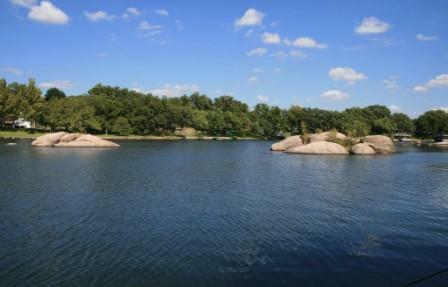 History: Originally named Lake Granite Shoals for the natural granite outcroppings that formed parts of the lake's shorelines, Lake LBJ was renamed in 1965 to honor the 36th President of the United States. 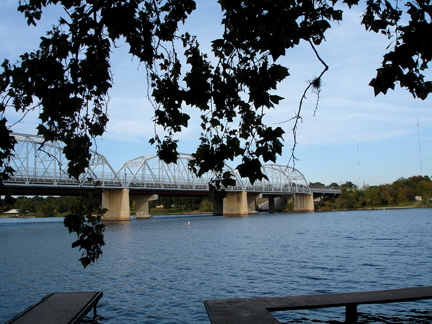 It was created by the completion of Alvin Wirtz Dam in 1951, with nearly sixty miles of shoreline. 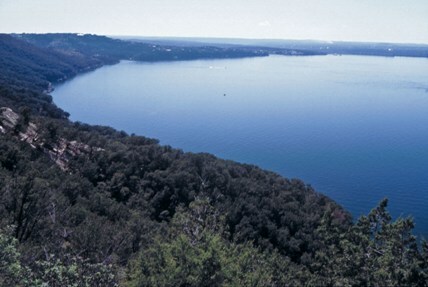 The lake remains virtually constant at about 825 feet above msl. 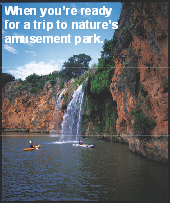 BULL CREEK FOUNDATION: www.bullcreek.net. 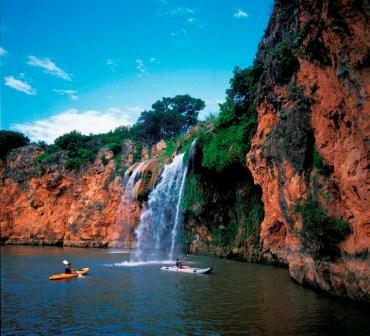 A non-profit organization dedicated to promoting a harmonious balance between nature, recreation, and sustainable economic development within the 32 square mile Bull Creek watershed. 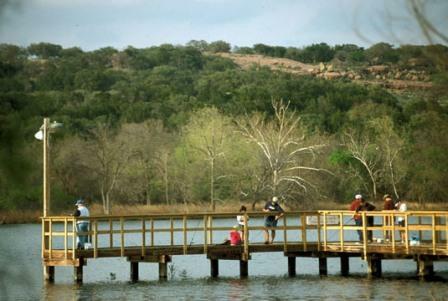 HIGHLAND LAKES GROUP/WATER MATTERS: www.hlgrp.org. 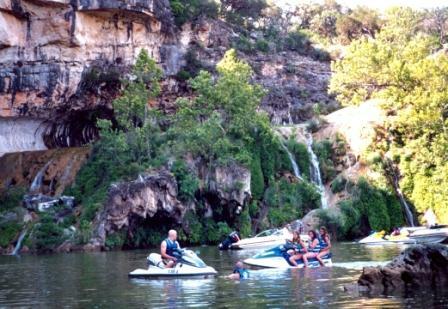 HLG opposes the "San Antonio Hose", working to keep Highland Lakes water supplies from being "hijacked" by other cities.